All attorneys are not created equal. Some do not return phone calls. Some let the courts drive the timing of a case. Some let cases sit on a shelf until the client calls with a question. If you need a positive legal experience with a criminal defense attorney, small business legal counsel or with your divorce lawyer, you should know that I am not like other lawyers. As a solo practitioner, I can give you the attention you deserve. I'm assisted by two certified paralegal assistants who are up to date on your case and are available to answer questions if I am in court. If I'm not in court, I'm available to take your call. I enjoy going to court, but most of my cases do not end up in court. Why? Because when a case is well prepared, it is often resolved out of court. I present a realistic picture of options to my clients, and a strong case to opposing counsel. Referrals from former clients and ongoing representation of my small business clients are a testament to the successes I've been able to achieve on behalf of my clients. Keep in mind that success is not always acquittal or achieving 100% of your goals. Success is achieving what you can reasonably expect. As a criminal defense attorney working in Eastside Texas, I've found that success in a drug case may mean a lesser charge and a lower fine. 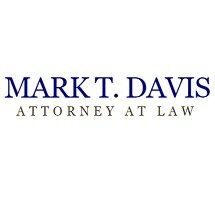 As family law firm representing individuals in El Paso, TX, I've found that success in a family law dispute may mean a compromise each spouse can live with that does not further damage the children. I always strive for a successful outcome – whether before a jury or a judge, in a pre-trial motion, or through a well-crafted contract.